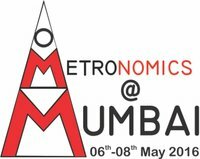 The Metronomics @ Mumbai-2016, will take place in the “happening” city of Mumbai on the occasion of the 5th Biennial “International Metronomic & Anti-Angiogenic Meeting” t from 6th to 8th May 2016. Even after waging the “war against cancer” for years, most of the advanced cancers are still not curable. On top of that many of the new chemotherapeutic drugs or“targeted therapies”that are introduced in the market, give a small, if at all, benefit over the existing therapies and come at a veryhighprice! However, the expensive investigations,medicines & supportive care required to deliver aggressive chemotherapies, have made these modern therapies out of reach of most patients having cancer in Low & Middle Income Countries. Even oncologists in High Income Countrieshavestartedquestioningtheirutility. Thus,the most important challenge at present in oncology is not just finding cures for patients with cancer, but to develop affordable, cost-effective therapies. In this context, the silent revolution of “Metronomic” chemotherapies is slowly sweeping across the globe. Metronomic Rescheduling of Anticancer Treatment (MSAT) has now grown beyond the anticipated scope of anti-angiogenic chemotherapy, with accumulating evidence demonstrating that these treatments may also act by stimulating an antitumor immune response and could ultimately lead to re-induction of tumor dormancy. The concept of MSAT is no longer a laboratory restricted idea. As of 2014, there are more than 150 registered clinical trials in various stages of development examining metronomic therapy and its efficacy. This reiterates the growing interest in this area of cancer directed therapy. What widens the reach of metronomic chemotherapy is its potential ability to be combined with conventional cytotoxic chemotherapy & newer targeted therapies. The identification of potential biomarkers for stratification of patients and identifying responses to metronomic chemotherapy, evaluating new response criteria to metronomic chemotherapy, correctly elucidating individual tumor biology and their potential of response to MSAT, and achieving uniformity of administration and dosage with MSAT are some of the many questions that remain to be answered. There are multiple checkpoints before MSAT can be introduced into mainstream oncology practice and not simply considered as an investigative therapy that is essentially palliative in nature. With this preamble, we at Tata Memorial Hospital, a premier oncology specialty hospital in Mumbai, invite you to be a part of M@M, a conference dedicated to covering all aspects of metronomic therapy, from its biology, approach, clinical practice, current trends and future prospects.